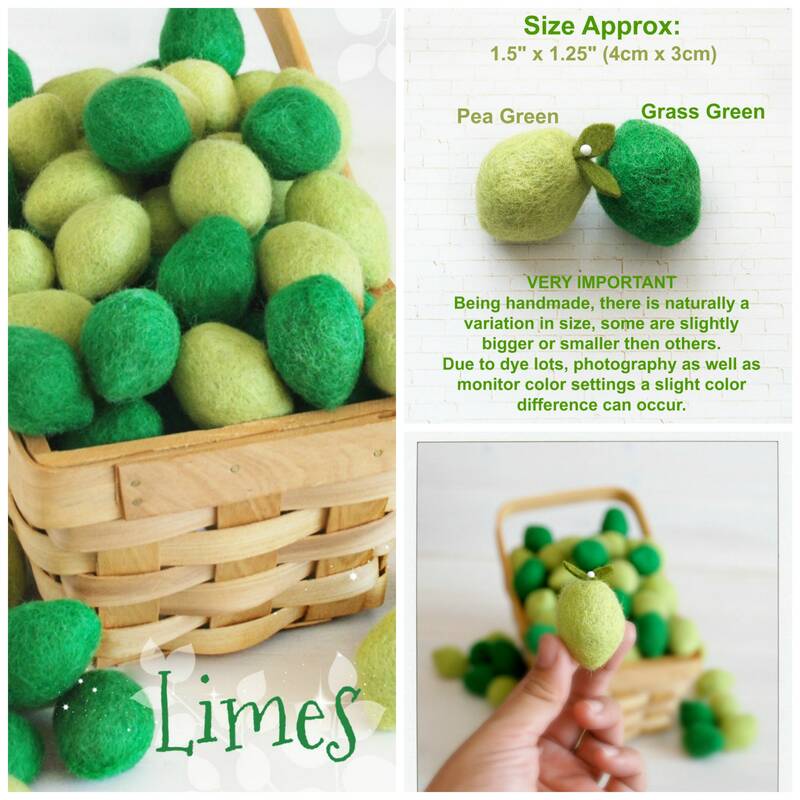 How cute are these little Limes? Perfect for Summer and Party Decor!! Add it to party hats, napkin holders, garlands, wreaths, flower arrangements or make them into cute little ornaments, key-chains, necklace, cake toppers, etc! Being handmade, there is naturally a variation in size, some are slightly bigger or smaller then others. 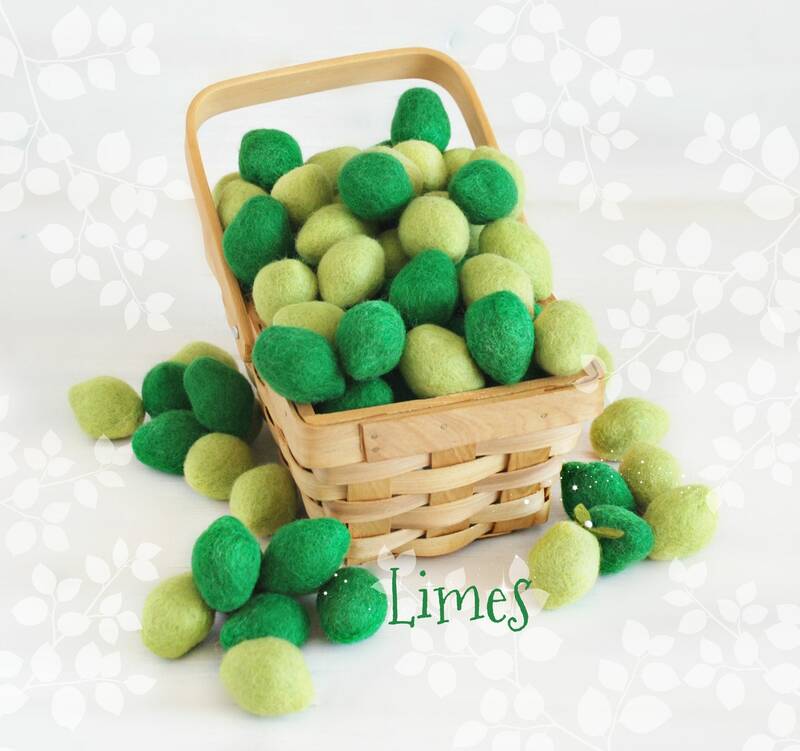 These lovely felt Strawberries are 100% Handmade in Nepal and are dye with Azo-free dyes. - I try my best that the colors in the pictures represent the colors of the actual product as close as possible. However due to dye lots, photography as well as monitor color settings a slight color difference can occur.